Whether you have had your pool for years or if you are looking to install one this summer, pool safety should be a concern. To provide your pool with protection and to help ensure that it is a fun and safe place to be, you should equip yours with an alarm. When it comes to alarms, many home and pool owners are concerned with the costs. Many do not want to spend more money than they have to. Before making the decision, you need to check with your local state, town, city, village, or county officials. Some states, including New York, Connecticut, and California, require the installation of alarms in all new pools. Even if they are not mandated, pool alarms do have some benefits. As for buying a pool alarm, decide what type of alarm is right for you. In the past, pool alarms were only available for in ground and above ground pools with hard sides. The alarm would attach to the side of the pool. There are now, however, alarms that are for inflatable pools, which have soft sides. Typically, these devices float and sound when a disturbance in the water occurs. As is stated above, there are some different pool alarms currently available for sale. Although they all have the same goal, know that some devices do vary in what the can do. Most will sound within twenty seconds of noticing a problem, but some pool alarms may do so in a longer or shorter period. Remember the faster alarm sounds, the quicker you can react and possibly save a life. For the utmost protection, Sonar Guard pool alarms should be on your list, as they can detect a child in the pool in less than one second! When purchasing an item that can mostly be considered a lifesaving device, it is important to do the proper amount of research. Did you know that some pool alarms received poor ratings with experts? On the other hand, others received high ratings. Since you will find a variance, do the research online first. Visit websites, like Amazon.com, where products can be rated and reviewed. Do not purchase an alarm with a significant number of complaints or unsatisfactory ratings. Next, it is important to know your buying options, regarding purchase points. Many consumers make the mistake of assuming that pool equipment must be purchased from where they bought their swimming pool. This idea is not true. In fact, you may find yourself paying more. It is not uncommon for specialty stores, such as those that sell and install pools, to increase the prices of items out of their specialties, such as toys and accessories. For that reason, always price compare. For the largest selection of alarms and the best prices, you will want to shop online. To get started, perform a standard internet search with the phrase "pool alarms." You should connect to online retailers that sell them. If you want to shop locally, visit your local home improvement stores and department stores. 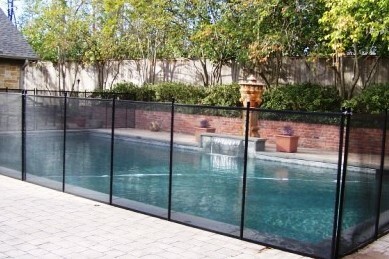 In addition to a pool alarm, try a gate alarm. The alarm should sound when the gate is open. Whether you purchase a pool alarm, gate alarm, or both, be sure to perform a test. Make sure that your devices work before relying too heavily on them.